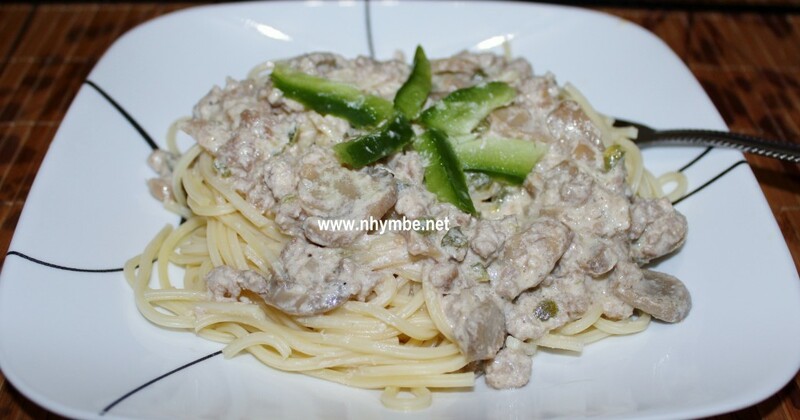 I cook this recipe when I get tired of the regular Filipino style spaghetti. I love the mushroom in it and the creaminess of the sauce from the all-purpose cream and evaporated milk. I usually include ground beef, sliced mushroom, bacon or cheese hotdog or ham (depending on what is available in the fridge), and green pepper. It’s easy to prepare, delicious and nutritious. 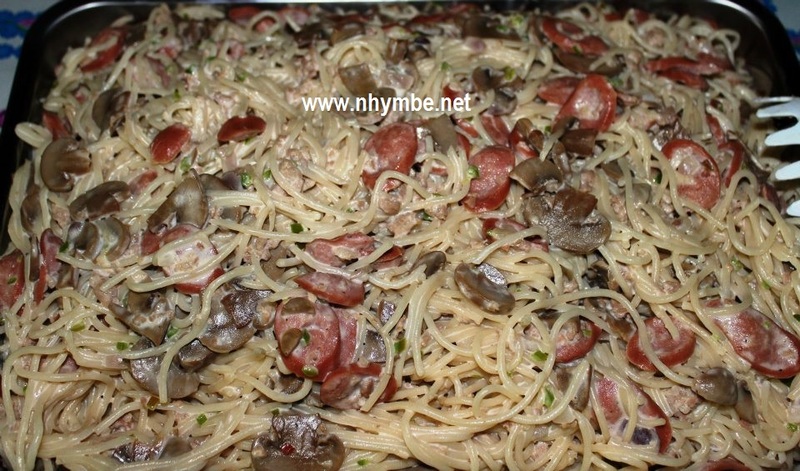 Click here for the recipe of my Filipino Style Spaghetti. Bell pepper is one of the healthiest vegetables. According to www.whfoods.com, bell pepper is not only an excellent source of carotenoids, but also a source of over 30 different members of the carotenoid nutrient family. A recent study from Spain took a close look vitamin C, vitamin E, and six of these carotenoids (alpha-carotene, beta-carotene, lycopene, lutein, cryptoxanthin and zeaxanthin) in all commonly eaten foods and found that only two vegetables contained at least two-thirds of all the listed nutrients. One of these foods was tomato, and the other was sweet bell pepper. Click here for the recipe of my Bell Pepper Cheese Stick. 1) Bring water to boil and cook the spaghetti pasta according to instructions at the back of package. 2) While cooking the pasta, saute garlic, onion, ground beef and hotdog in a separate pot, until ground beef turns to light brown. Do not forget to add the fish sauce and black pepper. 3) Add the all purpose cream, evaporated milk, condensed milk, mushroom, bell pepper and salt to taste. Stir once in a while until it boils. Simmer for 2-4 minutes then ready to transfer in a big bowl. 4) Drain the pasta once it’s cooked, blanch it with tap water, and drain thoroughly. Then pour it in a tray.